And it will be limited once again. Sigh. 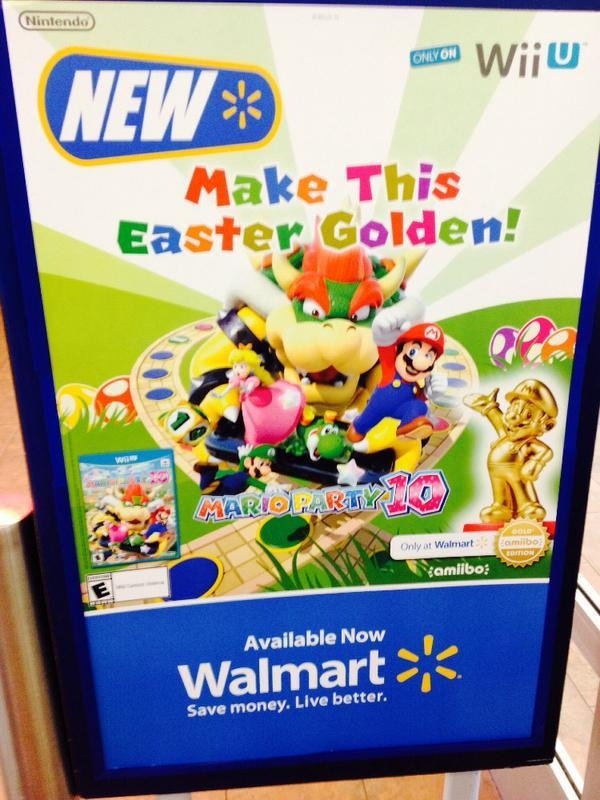 Remember the Gold Mario Amiibo we leaked a while ago? Well, it turns out that it is real, and that it will actually be launching in the US soon. So that’s a good thing. The bad thing? The damn thing will be Walmart exclusive, meaning it will be a limited run that will be picked up by scalpers and then flipped for obscene prices on eBay yet again. Notably, this announcement is not yet official, but Walmart seems to have jumped the gun with its marketing and promotion a bit- see above. Of course, we have no word on when (if) the Gold Mario Amiibo will be available in other territories, and Nintendo is not saying anything. “The is a US announcement and we have nothing to announce at present for the European market,” a Nintendo UK spokesperson told Eurogamer. Come on Nintendo, you need to get your act together with this Amiibo business.